Pacific Climate Warriors are youth advocates in 15 Pacific Island nations that are fighting climate change. 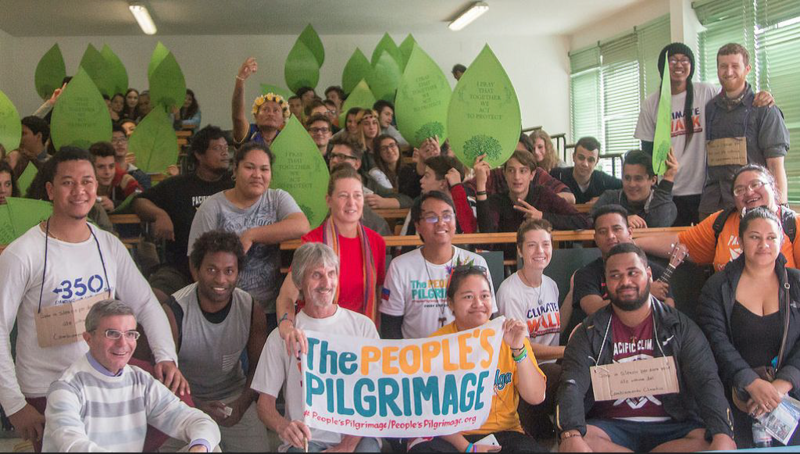 Global Greengrants Fund and 350.org have partnered to support Pacific youth groups that are resisting fossil-fuel development by empowering and educating youth and facilitating workshops that grow the capacity of youth leaders in the movement. The Pacific region is home to hundreds of small islands, over 500 languages, and incredible ecological and cultural diversity. 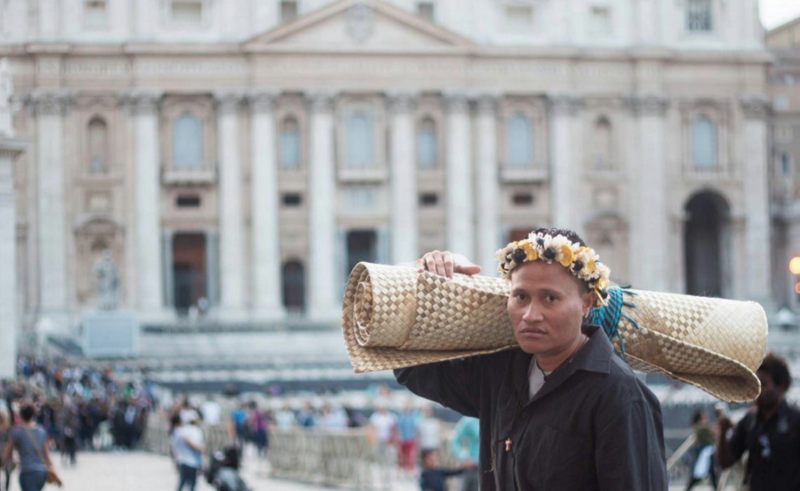 Indigenous communities and fragile ecosystems in the region are enormously threatened by the impacts of climate change, industrial logging, palm oil expansion, and a lack of corporate accountability. But local people in the Pacific Islands have solutions to environmental and social degradation impacting their lives. They are stepping up—especially youth leaders who understand that without strong action now, they will not have an island home to protect. These youth leaders need support from the international community to amplify their voices. And they also need funding to help protect and enrich their islands, cultures, and oceans. Global Greengrants Fund gives voice to people who lives are most impacted by environmental harm and social injustice. Every day, our global network of people on the frontlines and donors comes together to support communities to protect their ways of life and our planet. Because when local people have a say in the health of their food, water, and resources, they are forces for change. Train youth climate leaders and build the capacity of youth-driven organizations. Support communication and collaboration between youth-driven organizations. Strengthen the influence of young people in local, regional, and continental climate change policy. Fund youth-driven green enterprises related to climate change adaptation and mitigation. Through these strategies we help youth leaders grow the movement for climate action, leverage funding from other sources, amplify local voices, and increase awareness of local solutions. An example is our support of the Pacific Climate Warriors, a segment of the global climate change movement, 350.org. The Climate Warriors are active in 15 Pacific Island nations, and have a unique approach: The group challenges the fossil fuel industry by empowering and educating youth, organizing days of action to raise awareness, and facilitating workshops that grow the capacity of youth leaders in the movement. Global Greengrants and 350.org are partnering to support local groups around the world, focusing on frontline resistance to fossil-fuel development, climate-impacted communities, and campaigns to promote climate solutions led by under-resourced groups such as women, indigenous peoples, and youth. The Pacific Climate Warriors received international media attention for a canoe blockade at a coal port in Australia in 2014, a project Global Greengrants supported. They funded them again in 2015 to build the climate justice movement in the lead up to COP21. 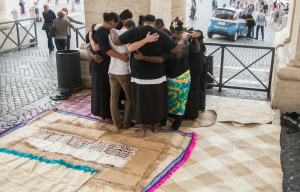 The group participated in the Peoples Pilgrimage and held a three-day Fa’anoanoa (prayer vigil) in St Peter’s Square in the Vatican.